Hand-sewn from Brazilian leather, the Columbia Rug by Serge Lesage is crafted using only the finest materials. 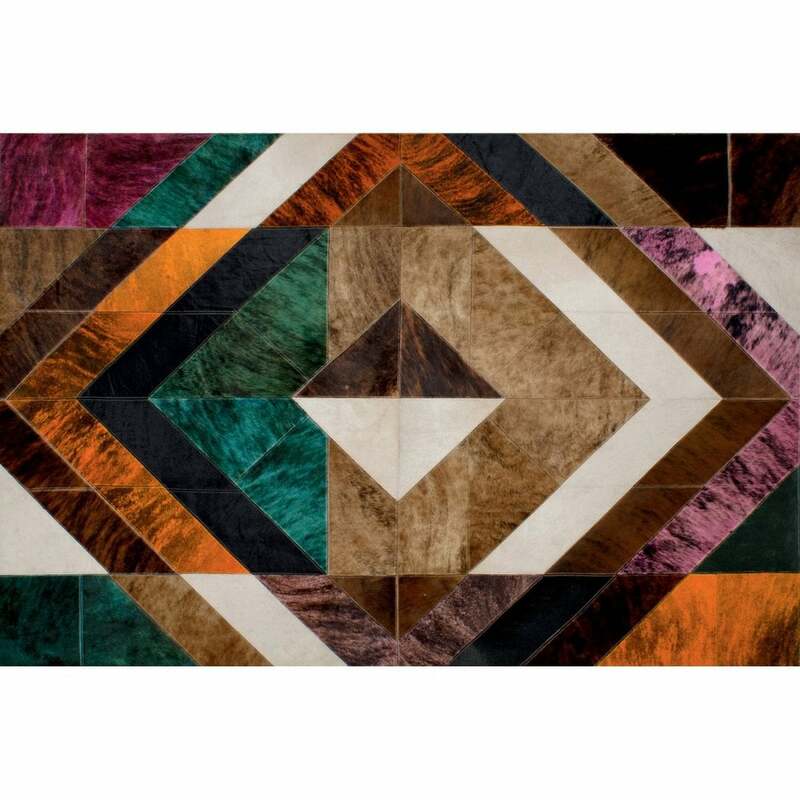 The geometric layout creates a stunning marble effect and expertly intertwines the beautiful tones of the animal skins into the contemporary design. The diamond motif features a harmonious colour palette of sand, chestnut, orange, jade and magenta. Style with industrial furniture pieces and dark polished wood for an eclectic that combines laid-back glamour with vintage sophistication. Available in both standard and bespoke sizes. Get in touch with our team for more information.